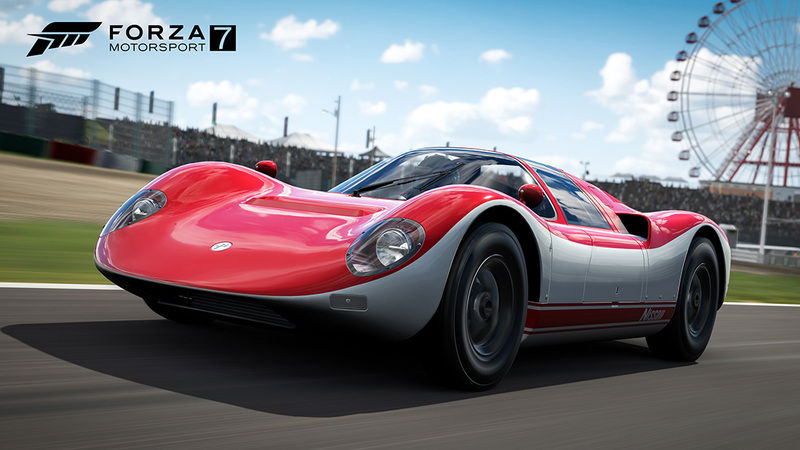 We’re kicking off the new year with a new update for Forza Motorsport 7, arriving today for both Xbox One and Windows 10. 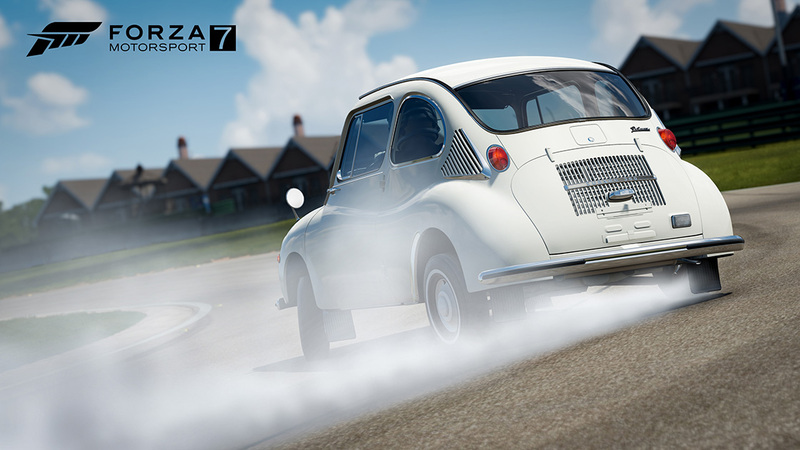 This update includes a number of improvements to the game (for the full list, see our most recent Release Notes on the Forza Forums). Today’s update includes new cars across two separate packs. In addition to the free 2019 Hyundai Veloster N and Turbo Free Car Pack – which features both the 2019 Hyundai Veloster Turbo N and the Veloster Turbo (see here for all the details), today’s update also features the cars of the Totino’s Car Pack. The seven cars in the pack feature a mix of historic and modern racing as well as technical innovation that has defined the automotive industry. On the racing side, we have the 2017 BMW #24 BMW Team RLL M6 GTLM, which campaigned successfully in the IMSA Weathertech Series in the highly competitive GTLM class. Preceding the BMW on track we have the 1997 Lotus Elise GT1, and a historic mid-engine wonder from Nissan, the 1967 R380 II. The remaining cars of the pack present a range of air-cooled cars from many spectrums of production models. The 1993 Porsche 911 Turbo S Leichtbau, is one of 86 made. The 1970 Citroen 2CV and the 1968 Subaru 360 provided millions of people with mobility, thanks to dependable performance and affordable price tags. Finally, the 1967 Volkswagen Type 3 1600 L “Notchback” is a model of early VW innovation and style. BMW Team RLL debuted the M6 GTLM at the 2016 Rolex 24 Hours of Daytona and saw success right out of the box. In 2017 the pair of M6 GTLMs won the IMSA WeatherTech series season-ending Petit Le Mans, along with victories at Watkins Glen, Mosport, and Laguna Seca, and combined with four other podium finishes, resulting in a second place finish in manufacturer points. With two teams of drivers in the #24 and #25, the latter captained by veteran driver Bill Auberlin, Team RLL gave the two-year run of the twin-turbo V8-powered M6 GTLM a run for the record books. Following the evolution of the BPR Global GT Series into the much more prominent FIA GT Championship, Lotus followed Porsche and Mercedes in developing a new GT1 car for competition. Against the likes of the McLaren F1 GTR, the Porsche 911 GT1, and the Mercedes CLK-GTR, the Elise-based GT1 faced a hearty and deep-pocketed grid. Lotus shelved the aging Esprit-based race car and built just one production model Elise GT1 to meet homologation requirements. While the Elise GT1 utilized the production aluminum chassis, the body was highly modified for improved aerodynamics. 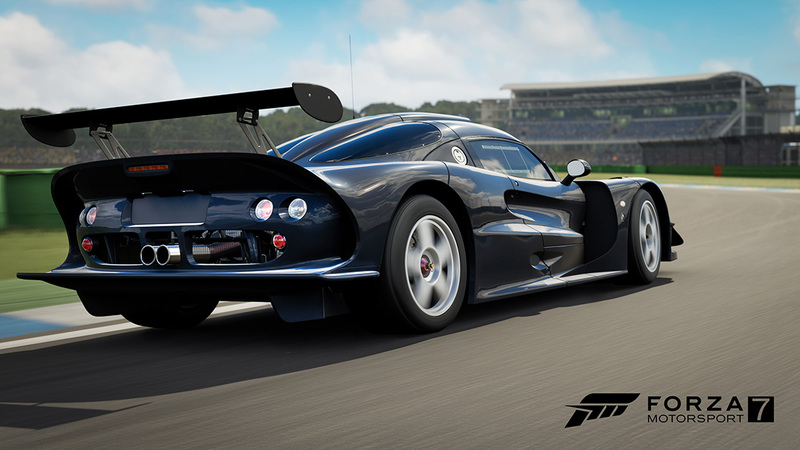 On the outside, a full carbon fiber body gave the GT1 a flowing form. The Elise’s inline-four was swapped out for a Type 918 Lotus 3.5-liter twin-turbo V8 mated to a Hewland six-speed sequential gearbox, although some teams opted for a 6.0-liter LT5 Chevrolet V8 and various other transmission options. Sadly, reliability proved to be a problem for all seven chassis that were built, with the best success being a fifth place at Helsinki. 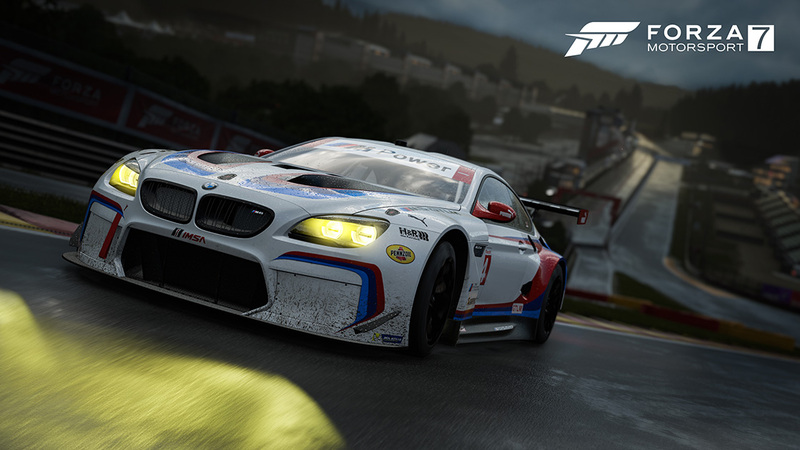 Nonetheless, experiencing the power and glory of this GT race car in Forza will deliver smiles that outshine its racing record. Before it merged with Nissan in 1966, Prince Motor Company developed the R380 to compete in the Japanese Grand Prix against the then-dominant Porsche 904s. Upon the merger with Nissan, the R380 II was the result of redevelopment by Nissan, still utilizing the Skyline G inline six-cylinder engine that was also developed by Prince. The chassis is a modified Brabham BT-8 covered in alloy body panels and a rear clamshell covering the motor that resembles the 904’s flowing lines. The G engine was adapted for racing to output close to 220 hp, featuring high compression and three Weber carburetors. Prince saw success against the redeveloped Porsche 906 in 1966, winning the Japanese Grand Prix, but in 1967 even with the newly redeveloped lines and engine of the R380 II, the 906s took back their position of dominance. Nissan wasn’t done with the R380 II yet, though, and eventually took it to the Yatabe Test Track where it set seven new land speed records. 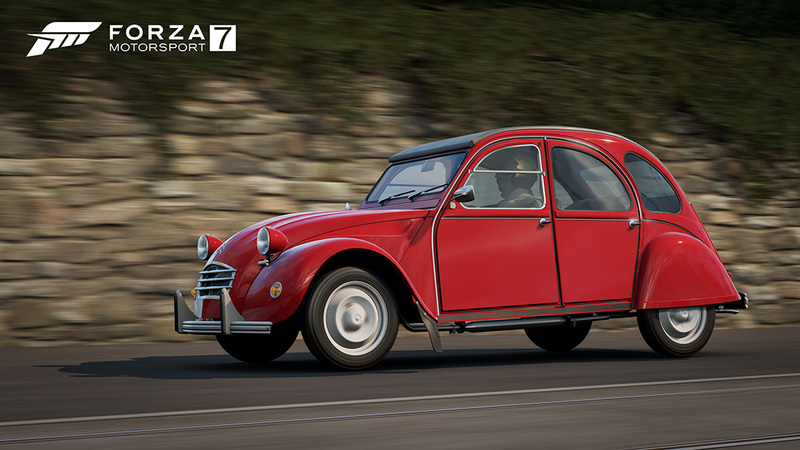 As one of the most iconic shapes to ever see four wheels, the 2CV stands alone as the French model that brought many French farmers into the motorcar age. Originally offered with 2CV, or deux chevaux-vapeur (two steam horses), the air-cooled two-cylinder (horizontally opposed) motor delivered anywhere from nine to 33 horsepower over its long production life from 1948 to 1988. Despite its simplicity that included only one gauge (a speedometer) – which also powered the windshield wipers –the 2CV was comfortable to ride in. This was in part due to the original design requirement of being able to haul fresh eggs across a bumpy field without breaking them. With inboard brakes and one of the earliest successful front-wheel drive systems, the car was also capable, albeit never fast. The 2CV has been called many things over the years, (the ugly duckling, the goat, the tortoise, and the rocking horse to name a few) but it remains to be one of the simplest and most functional vehicles to ever hit the road. The 360, otherwise known as the “Ladybug”, marked Subaru’s entry in to the Japanese car market. Its creation was motivated by the Japanese Kei car initiative which mandated vehicles with engines smaller than 360cc in an effort to produce affordable transportation for Japan’s population. Mounted in the rear is an inline (356 cc) two-cylinder two-stroke motor which utilized the innovative Subarumatic system that mixed the fuel and oil automatically. More than 392,000 models were sold in Japan over its 13-year production run but only 10,000 made it to the U.S. Those few models were imported by Malcolm Bricklin, who later built the Bricklin SV-1. Bricklin’s shrewd marketing included the marketing phrase “Cheap and Ugly.” Despite that characterization and poor adoption of the model in the States, the 360 stands proudly as the microcar that developed Subaru’s automotive business and eventually led to unforgettable models like the Brat, the WRX STi, and more. Porsche’s 964 platform represented the last of the rear-wheel-drive 911 Turbos, as the coming 993 models adopted all-wheel-drive. That meant, among other things, less weight, along with the thrill of the rear end constantly trying to push its way around. The “Leichtbau” was shown at the 1992 Geneva Auto Show as a design study, and the resulting 86 cars that were built represent some of the rarest of rare 911s produced by Zuffenhausen’s exclusive department. “Leichtbau” translates to “lightweight build.” By utilizing Kevlar for the hood material, aluminum doors, thin gauge glass, and the removal of most comfort amenities, these cars were able to shed nearly 400 pounds over the standard Turbo S. Extensive tuning brought nearly 20 percent more horsepower, making it both “leicht” and “schnell” by comparison. One listen to that turbo-charged flat-six will inspire fast laps that you might never have thought were possible before. In its early days, Volkswagen naming conventions were nearly as elementary as its vehicle designs. The Type 1 was, of course, the phenomenal Beetle; the Type 2 the famed VW Bus. The Type 3 actually represented three models: the Fastback, the Squareback, and this classic three-box design, the Notchback. All were largely based on the body on chassis, rear-engine design of the famed Type 1 with some key differences. The flat-four cylinder in the Type 3 is known as the “pancake” engine due to its low profile that allowed for more luggage space. The front suspension incorporated transverse torsion bars and the motor and transaxle had their own subframe as well which delivered less interior vibration. Type 3s are getting harder and harder to find these days with the “Notch” being the rarest of all. Take a trip back in time in this capsule of Volkswagen innovation.